Being a good architect is not a problem if you can make a right decision in choosing the best architecture design schools / college. Nevertheless, it is not as easy as what we expect, choosing the right school of your interested field is absolutely the most difficult stage before beginning your academic life. There are many architecture design schools out there in Europe; therefore, students always have difficulties in choosing the right one as those schools provides the same program with the same purpose. Architecture is considered to be a challenging major, which required students to work hard and have a strong commitment during the intellectual life. This is eventually one of the most important aspects of selecting a university, one with which will determine you with a good job. However, this article is probably the best for those who find it hard to search for the best architecture designs schools in Europe. 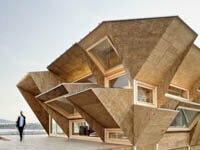 Here is the list of top ten best architecture designs schools in Europe based on several features and a main focus on student gratification and job opportunity. Please be informed that this list is subject to change. You might have known about the name of this famous school. 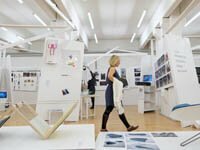 Actually, this school offers various majors in different departments, and Department of Architecture is also one of the largest architecture schools in the United Kingdom. If focuses on the quality of teaching and the researching skill, ensuring the student get the best design education and broaden their knowledge about the architecture both historical architecture and modern architecture. This is a highly recommended architecture schools in Europe. This school is located in the United Kingdom and it is one of the eldest schools of architecture and one of the most impressive and challenging schools of architecture globally. 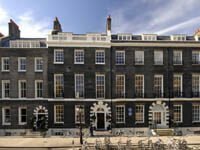 The Architectural Association was originated in 1847 and the Architectural Association School was officially founded in 1890. 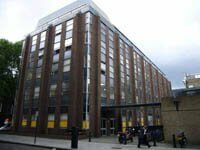 It is situated in Bloomsbury, Central London. This university also has bookshop in the school for students, the Architectural Association Bookshop,comprising a variety of architectural books, plus many other books published by the university itself. There are also many visiting lecturers and other participants from around the world each year. The payments for the five-year undergraduate course are the same for all students regardless of nationality. The Royal Danish Academy of Fine Arts is ranked as one of the world’s eldest university of architecture. It was established in 1754. The university teaches architects in the major of architectural design and renovation, graphic and landscape planning, and industrial, urban and furniture design. The training lasts within nine departments of studies offering education on all levels, while there are 4 institutions of researching skill. The diploma degree is received through a three-year undergraduate course leading to Bachelor of Architecture plus a two-year graduate course leading to Master of Arts in Architecture. 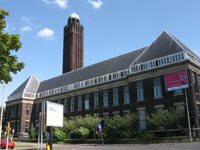 If you are looking for the best architecture design school in Europe, Technical University Delft is considered as a very well known comparing to the best schools in the world in both majors engineering and architecture. The faculty not only offers influential Bachelor degree, Master degree and Post-master programs in the major of architecture design, but it also provides other related instruction including building physics, landscape architecture, and housing. In addition, the university students can select from a range of minors and also join in an exchange program in the university. The Bachelor’s degree program in Architecture familiarizes you to the various majors in which architectural engineers practice their work. In the Master’s degree program you will specialize further in a specific course of the major. Particularly for those students who would like to expand their perspective, the faculty provides an intensive Exchange program during the course, which is very essential for the students. It is a perfect way to get familiar with new technical knowledge and creative ideas from abroad. 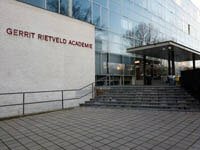 This School is one of the leading Schools in Europe, which offers the best quality of education on the architecture major. If you are looking to improve or broaden your skill on this field, the IAAC is seen to be the right choice for you since it provides many effective courses during the programs. In addition, many internships opportunities for active and intelligent students to practice their skill as well as to strengthen their researching skill which will benefit for them in the future. The school would like to ensure that the students have professional skill in architecture to deal with the competitive environment after they graduate. 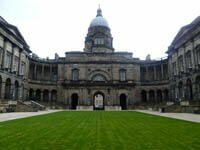 Located in Scotland, University of Edinburgh offers professional degree in Architecture, which makes graduation with a range of skilled and qualified. The school includes many challenging research activities in the courses ensuring the quality of education on the field of architecture and design. The school engages more with the students to keep in track of what they are doing as well as to have a good collaboration between teachers and students. If you are living in Scotland, this school is a recommended for you. The University of Cambridge is situated in the beautiful city of Cambridge, England. It is one of the oldest schools in the Anglophone countries. It is famous for its outstanding academic program on architecture, which attracts many students around the world. Teaching techniques is not consisted only with the lecture or practice class, but it is also included the professionalize experts to teach and share experience to the students. The students are engaged to have a high standard of learning since the school offers many learning opportunities. With the high level standard of teaching, the students are guaranteed to have a professional skill and achiever their dream when they are graduated. 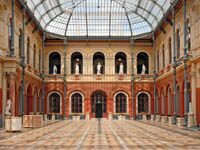 For those who are looking to study in France, this architecture schools is considered as one of the most well known for its excellent academic achievement. As you know, France is famous for its great and amazing architecture. Therefore, you can learn from those French lecturers to find out more the methods of being a creative architect in the future. During the program, the schools offers many high standard of teaching to make sure the students get a good understanding and broaden their perspective on the architecture system. You can say this school is also one of the best architecture schools in Europe since this school is mainly focus on “the space.” It could be described, as the key concept of every building that the students should know. 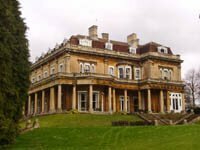 They are engaged to study various theories taught by the professional lecturers of each buildings. It offers students with the great opportunities to get many experiences from the experts in order to guarantee the quality of teaching standard. After graduation, students might use their real ability and professional skill to practice in real life. This University is ranked as one of the best architecture schools in the United Kingdom for its outstanding academic program. During the program, you will discover all the essential skills and techniques you need in your career. After getting your Bachelor’s degree, you can pursue to a Master’s program in which you can widen your perception and skills supplementary. The school offers many research activities to keep in track with the students learning process.